Wednesday. Today I put in 6 good hours. 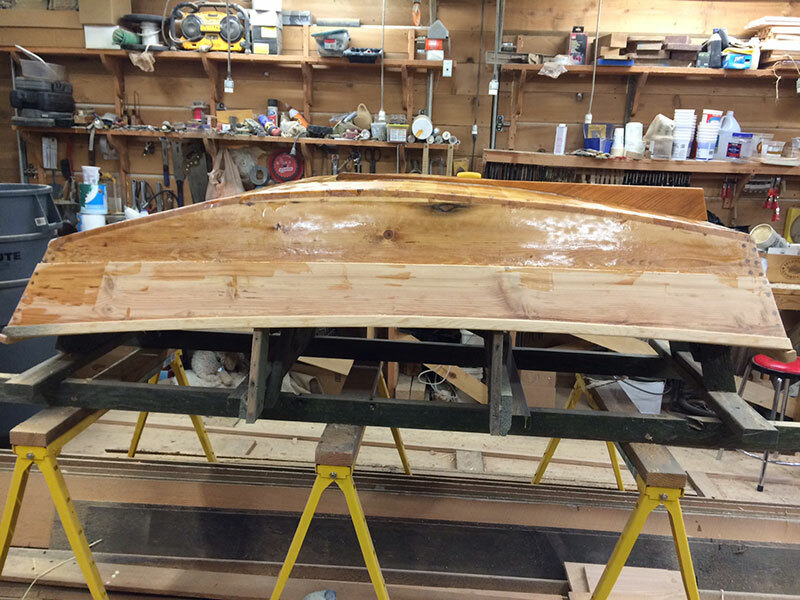 I got the floor hull planks glued and screwed into place. I cut and fit the skeg. 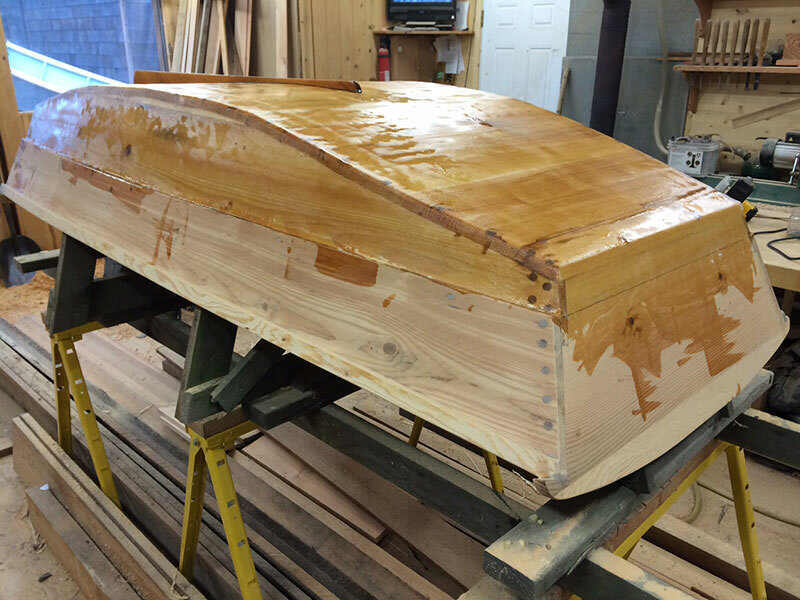 Then I removed the skeg and fiberglassed the hull to the top of the chine strake. Finally, I epoxy fit the skeg into place. 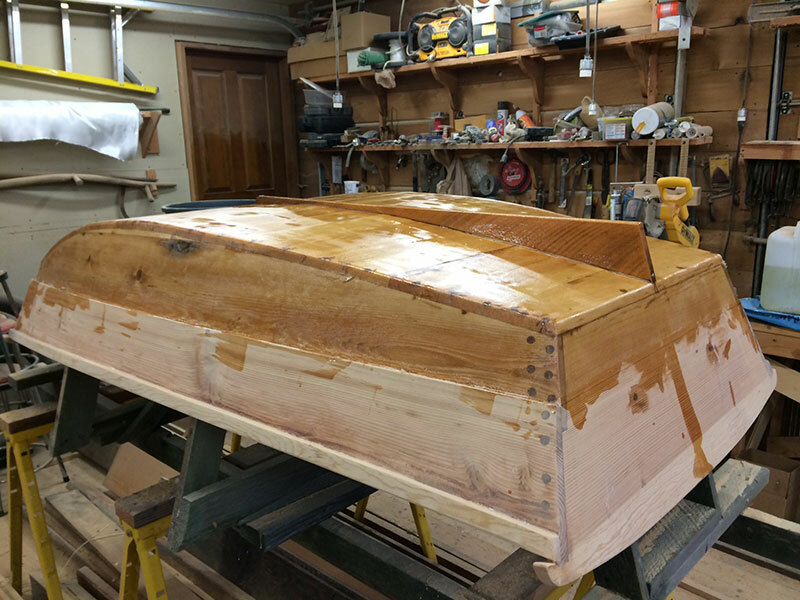 This entry was posted in Harry Bryan, Ladybug Wheelbarrow Boat. Bookmark the permalink. Post a comment or leave a trackback: Trackback URL.